Hey Brian, missing part of your anchor tag in the final paragraph. Any chance you could bring the PS Now app back to smart TVs? I have a Sony smart tv, and it would be amazingly convenient to be able to use PS Now on it. They still should’ve kept support up. Surely backend support doesn’t require that much to keep running. Netflix still works on Vita and they never update that for example, despite having done extensive updates to the service and UI on countless other platforms. Get it to the point it can at least live on without any additional effort and then focus UI improvements on PS4/PC and leave the rest to what works. I don’t know. The fewer options to stream with the lamer the service is to me. THANK YOU for the UI change! Happy to see more improvement with this service like with the addition of downloads. But there should be way more exclusives. 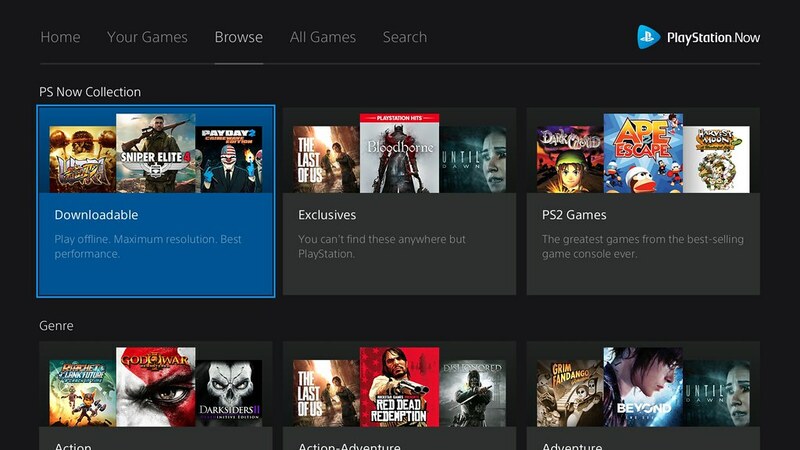 Theres no reason why exclusives that are at least 3 years old shouldn’t already be on PS Now. So happy Vikings: Wolves of Midgard got added! Was hoping for more JRPG games. Guess not. Well dunno about Vikings Wolves of Midgard and Battle Chasers: Nightwar. Guess I try those. Thanks for the update. The services keeps getting better. I do miss the ability to play on the Vita. Would be great if you brought the service back to Vita, or even better, give us a new PlayStation Phone with a Vita style Form Factor. Then let us stream over 4G and 5G once available. I’m a PS fanboy by all means, but I’m gonna have to be honest and say that Xbox GamePass is a much better service in both offerings, usability and price… especially since you have get it half price a few times per year. Please update the PC app so you can actually search games. Got disconnected earlier today on PS4 and couldn’t get back on, happened during autosave. Does PS Now automatically disconnected as soon as we do or does it hang for a bit so that any autosaving features will finish? I still think it should hold your connection for a good 10 minutes so you can reconnect and save or continue playing rather than booting you entirely when you lose a connection. Not that it would’ve did me good today. Luckily my save is fine just checked on PC. Oh but I hate the ingame menu change, makes it such a pain to sync my PS3 trophies now. I heard there was going to be a remake of The Legend of Dragoon. Too bad it was a dream though. More on topic, Guilty Gear Xrd Rev 2 is a great game. Oh by the way, don’t think that PS4 versions are “upgrades”. Let us choose. Because you can gain a lot of subs from trophy hunters having multiple versions of the same game up. Plus, sometimes the PS3 version was better since the port/remaster wasn’t good.